Dr. Jesalyn Jahara Taylor graduated the University of Rochester School of Medicine and Dentistry in 2004. 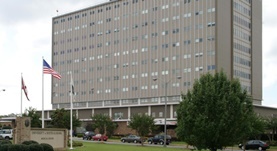 A residency in anatomic and clinical pathology followed at the University of South Alabama. She completed a fellowship in two medical branches, namely in selective pathology and hematopathology, both at Methodist Hospital in Houston, Texas. She was certified in anatomic pathology by the American Board of Pathology and is affiliated with University of South Alabama Medical Center.